← Abstracts – not as easy as you might think! Had another wonderful day in the studio with my sister Lorna. She’s getting better and better each time she does watercolors! The funny thing (to me) is that she has no idea how to gauge the complexity of a project, and suggests really difficult images. We spent about 1.5 hours on the camel. 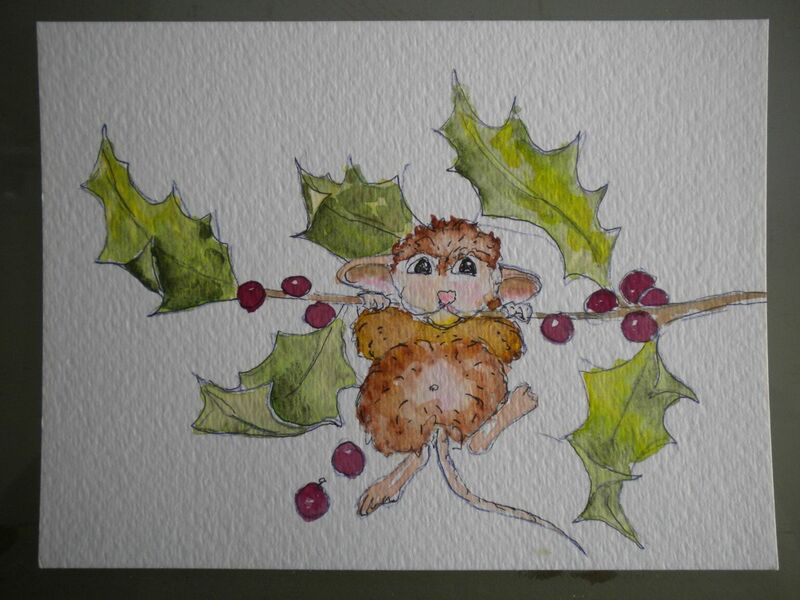 It will eventually be put on the front of Black Cardstock and sent as a Christmas Card. The mice went quite a bit faster. I just love it when she comes over for a play date – it certainly keeps me motivated and challenged. 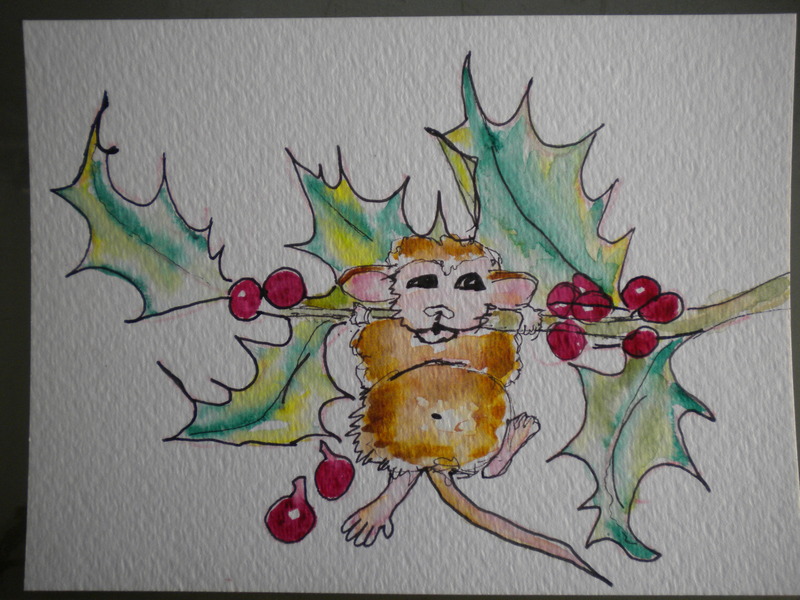 This entry was posted in Cards, Christmas, Watercolor and tagged cards, christmas, watercolor. Bookmark the permalink. Love these … you are both so talented! Thank you! Lorna definitely keeps me motivated. I had another wonderful day in the studio with Cher. 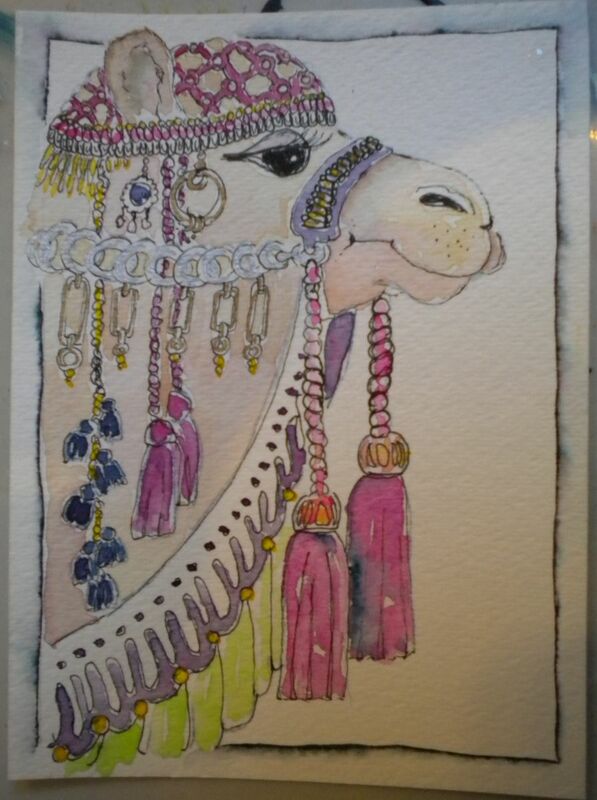 Love the image of the camel. I am going to try this image again. Drinks by the pool was a nice ending to our day. in fact, drinks are now mandatory after studio classes!!! Oh yeah, I’m on board with that! Ha, you’re hilarious. 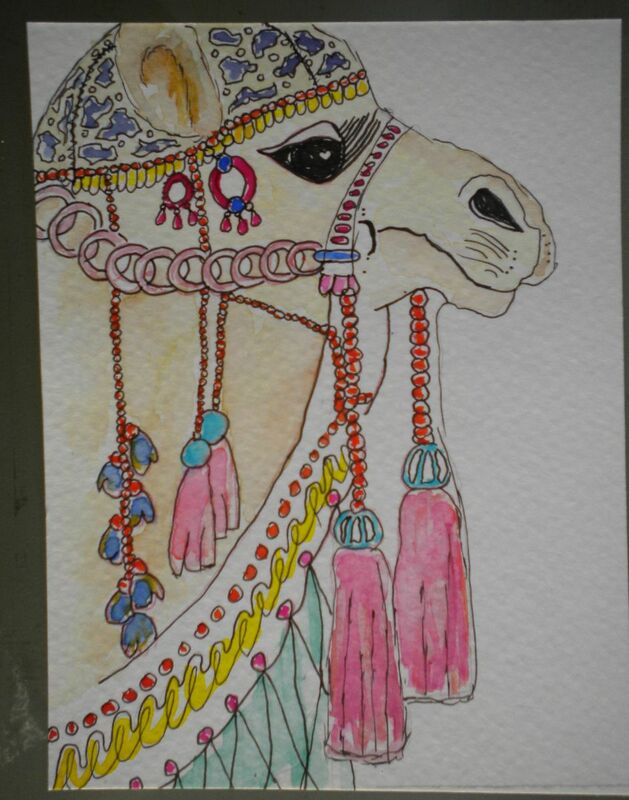 The only one who’s getting the damn camel from me is someone who can appreciate how much work went into it! I’ll send you a stick figure santa…………. And so many more new images still to come! Wow, you both are so talented! I will never look at Christmas card making the same ever again. 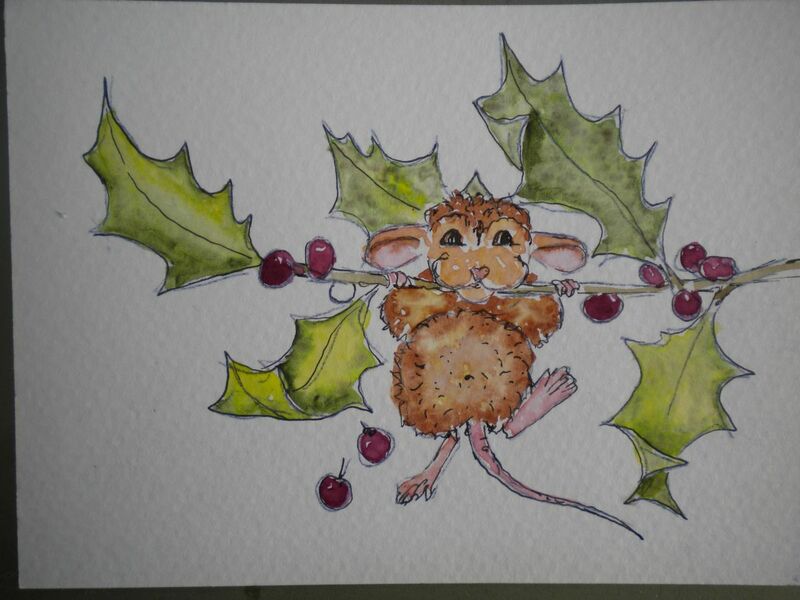 and anytime you want to come over and try watercolor, just let me know………..
Really impressive work! I love the camel hats – can you knit one for me to wear? Ha, no such luck, but I bet Sara-the-most-extraordinary-Knitter could!